Admin day as we’re off to Australia tomorrow for Noel’s nephew Riley’s wedding to Myf on Saturday! 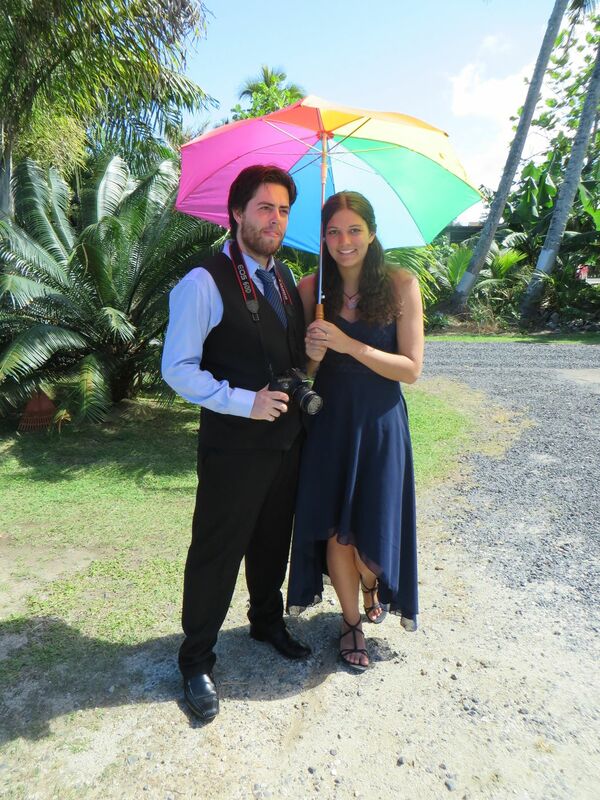 Riley & Myf at Riley’s cousin Jason’s wedding to Michelle in Rarotonga last October! So, haircut, lunch at Missionview Gardens and then in the afternoon we returned some vases to the florist and said goodbye to Pauline, followed by more admin and lots of ironing and packing!